Teri Nelson, pictured center, founder. 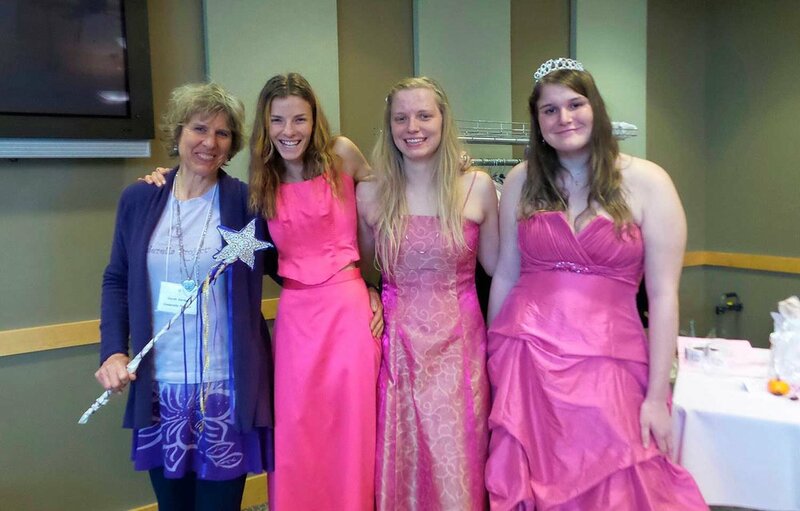 Building self-esteem while making prom dreams come true. We do this by providing special occasion dresses and accessories free of charge to High School juniors and seniors so they may attend their Senior Ball or Prom. The Cinderella Project Boutique is open on Saturdays during the Prom season, usually April and May. Sarah Gordon, pictured right, head Fairy Godmother took over for Teri. High school juniors and seniors who are unable to afford to attend their prom and are enrolled in Nevada County schools and nearby counties are eligible. Please tell your friends, teachers and high school friends about the Cinderella Project so they can spread the word.